Mr. Carroll hasn’t been a tobacconist all that long, having smoked his first cigar late in the summer of 2008. By the summer of 2010 he formed his company and opened the doors to Heights Cigar Lounge in January 2011. Mr. Carroll joined IPCPR in 2010, TxCMA in 2014, and was nominated and elected to be the Secretary of TxCMA in 2015. Additionally, Mr. Carroll has earned both his CRT and CMT from Tobacconist University. Mr. Moore is co-owner of En Fuego Tobacco Shop. En Fuego opened in 2006 and has expanded to 3 locations in the Dallas area. Mr. Moore has been a member of IPCPR since 2006 and a TxCMA member since 2010. Mr. Moore recently served on the TxCMA Board of as Director of Special Projects. Mr. Rawls began his career in the tobacco industry by accepting a job at Cavalier Cigar Co. in August 2010. 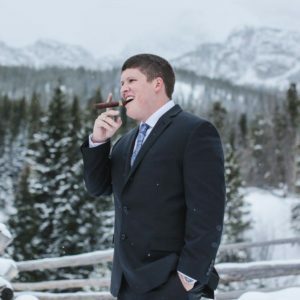 Having worked at Cavalier Cigar Co. for nearly four years and at the age of 22, Mr. Rawls was able to acquire the store mid 2014. After acquiring Cavalier Cigar Co. and graduating from Texas A&M he focused on growing and expanding the business. In September of 2017 he opened Hideaway Humidor located South College Station. With a very hands on approach to the business, a focus on customer service, and by bringing a youthful view to the industry he has become a valuable asset to the tobacco community. Mr. Lewis has been an independent representative in the cigar business for just over 4 years. He has an extensive background in import/export from many years as a textile broker. Over 2 decades of building and running small businesses, as well as growing and managing sales teams, has given Mr Lewis a solid foundation on which to build a successful Sales Rep Business. Mr Lewis is also an accomplished singer, boasting an International Gold Medal and 3 International Silver Medals with The Vocal Majority, a men’s chorus based in Dallas, Texas. 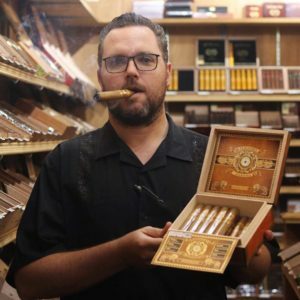 Mr. Peacock is the co-owner of Michaels Tobacco, LLC and has been working full time in the cigar industry since 2012. Previously a choir teacher, he decided to join the “family business” and bought into Michael’s Tobacco and opened the Keller location of the company. He has previously served on the TxCMA board as Vice president.